Business cards are one of the many ways people initiate professional relationships, so it is important to us that our members can quickly and easily bring these connections to LinkedIn. CardMunch, which LinkedIn acquired in January 2011, is one way to do this, but we know our members want more capability and functionality. So today LinkedIn is deepening our partnership with Evernote. LinkedIn members can scan a business card using Evernote’s mobile app and then directly connect with this contact on LinkedIn to maintain the new relationship. Evernote’s card scanning service is fast, reliable, and literally world-class, with support for seven languages. In Evernote, our members will be able to view profile photos, job titles and company information from LinkedIn right in the notes created when they scan business cards. LinkedIn members will now also be able to enter comments related to the scanned card and geo-tag the location where the card was scanned. We will discontinue the CardMunch app on July 11, 2014. All LinkedIn members who use CardMunch and choose to transfer their existing scanned cards into Evernote will receive two free years of Evernote’s premium business card scanning service. Members will be able to quickly and easily migrate their CardMunch data to Evernote. Details can be found here. 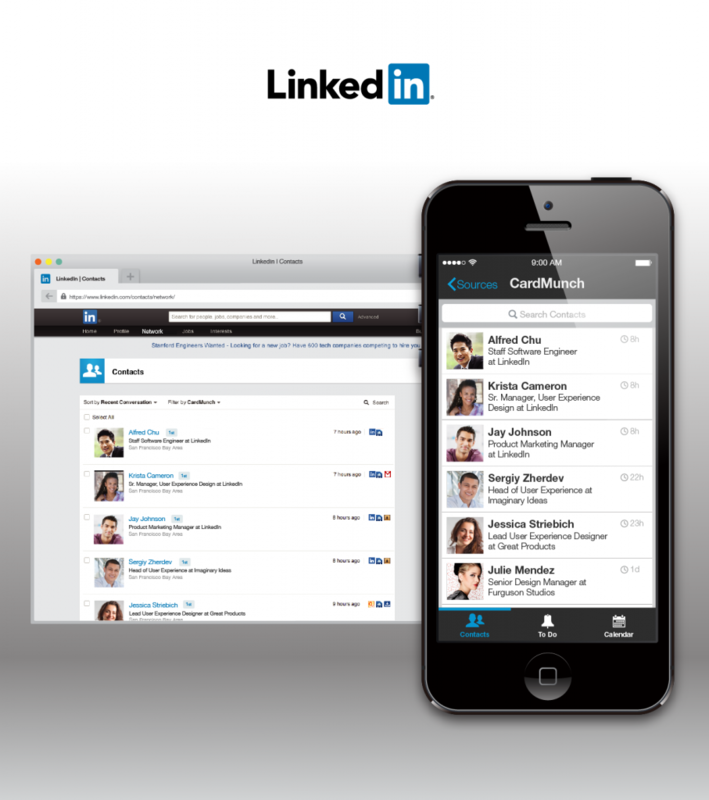 CardMunch data is also available in LinkedIn Contacts on LinkedIn.com on the desktop, and in the LinkedIn Contacts app. We recognize that some members may not want to transfer their data to Evernote, so we are also giving all CardMunch users the option to download their CardMunch data (including their business card images). 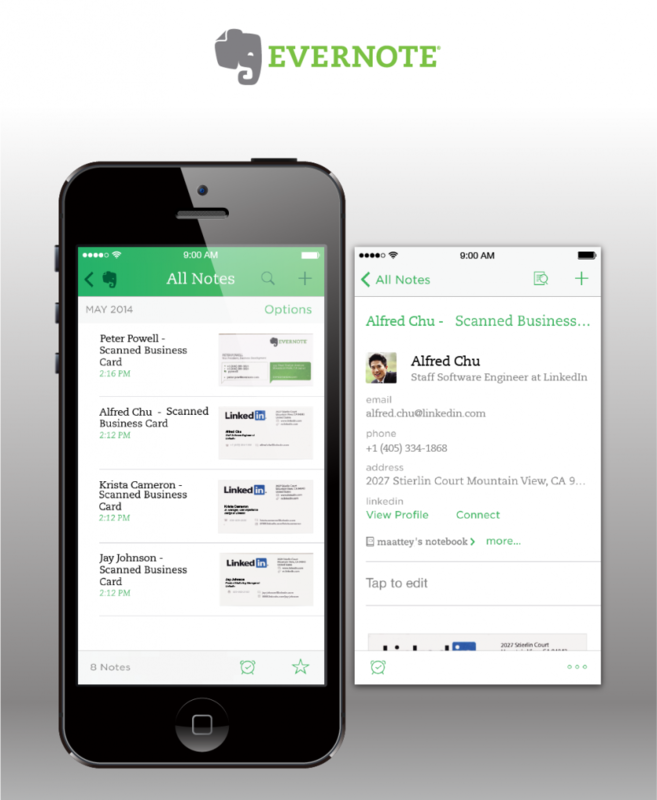 In addition, LinkedIn members who do not use CardMunch will receive free Evernote business card scanning for one year if they connect their LinkedIn account with Evernote. A couple of weeks ago when we announced LinkedIn surpassed 300 million members, we noted that strategic partnerships (with companies like Apple, Nokia, Samsung and now Evernote) are a core part of our plan to reach the next three billion LinkedIn members. We’re excited to expand our partnership with Evernote and to bring LinkedIn to their users around the world. LinkedIn is committed to doing fewer things better and by expanding our partnership with Evernote we can ensure that our members have the best card scanning experience possible while staying focused on what we do best.